Homeless people in Little Rock, Arkansas, have been thrown a lifeline to help get their lives in order. The city’s new pilot program called the “Bridge to Work program” will see eight homeless people per day get paid for picking up trash and clearing weeds, as well as other cleanup roles. According to WIFR, the homeless participants will be paid a rate of $9.25 an hour—the minimum wage to pick up rubbish in Arkansas—from the $80,000 in funding that the program will receive from the City of Little Rock’s Public Works Department. The program, which is run by Canvas Community Church, kicked off on April 1 and will end on Sept. 27. Alexander Williams is one of eight homeless people who is taking part in the six-month trial program. “Hopefully you know by doing this job right here, maybe I could get hired on fully by the city or something,” Williams told 11 Alive. Williams has the role of a supervisor as well as a driver in the new initiative—he is hopeful this program will provide him with a better future. “I’m basically trying to change my life,” Williams added. 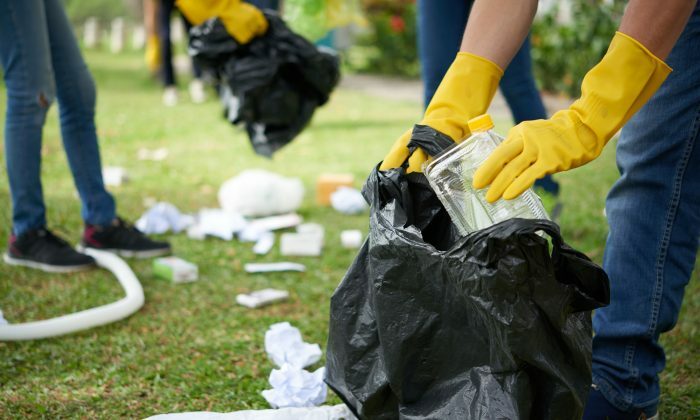 Little Rock, Arkansas pays eight homeless residents per day to pick up trash, clear weeds and take on other cleanup roles. They are paid $9.25 per hour in cash and receive a meal. According to statistics published by the United States Interagency Council on Homelessness (USICH), around 2,712 people in Arkansas experience homelessness on any given day. Nationally, the figure of homeless people is over 500,000 (pdf). Often, homeless people become discouraged when they aren’t able to find or secure a job. Unfortunately, many spiral into drugs (pdf) and alcohol, and try to escape the pressure from not having a decent life. There can be stigma attached to being homeless that is difficult for prospective employers to see past, adding to the problems the homeless face while trying to find a job. Additionally, not having a home is a definite deterrent to finding a job, and shelters are mostly full to overcrowding, with long waiting lists. The homeless participants in the Bridge to Work program are enthusiastic, and their spirits are high. The ultimate goal of the program is to provide participants with avenues, such as a full-time job, education, or rehab, so they can get out of homelessness. Many hope to gain full-time, stable employment after the trial ends. Canvas Community Church is hopeful that the initiative will lead to bigger and better things. “The goal is to give them a day’s work and a day’s pay, but also the opportunity to connect to services that can help them to get full employment, or whatever the next step is,” said Associate Pastor Paul Atkins with Canvas Community Church. Atkins really appreciated the support the program received from the city. “Everybody’s been really great and supportive and cooperative,” he added. If the program is successful, the city may plan to continue it, giving hope to many other homeless people.